Bonfire nights and tent stays at Pavna Lake, Bhandardara, and more. Camping in Maharashtra is the most serene experience, if you want a break for yourself. 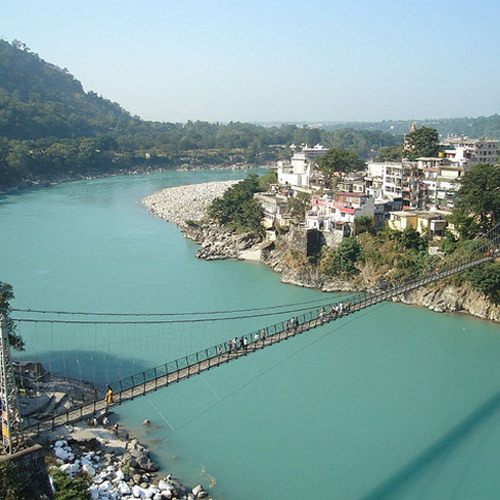 Leave the city behind and head to the hills, lakes, waterfalls, or rivers all around for a wonderful experience. Camping near Mumbai or camping near Pune is a perfect casual getaway with friends or family. Some of your top camping in Maharashtra options include camping near Lonavala, or Bhandardara camping. All you need is your camping gear and some great company, and you’re good to go! Most camping in Maharashtra packages include an afternoon or evening check-in, an easy day of fun in the midst of nature, and a bonfire and barbecue session before dinner. After that, you’ll retire for the night to your tents. In the morning, you’ll awake to wonderful misty views and fresh clean air. After a hot cup of tea and breakfast, your trip ends. 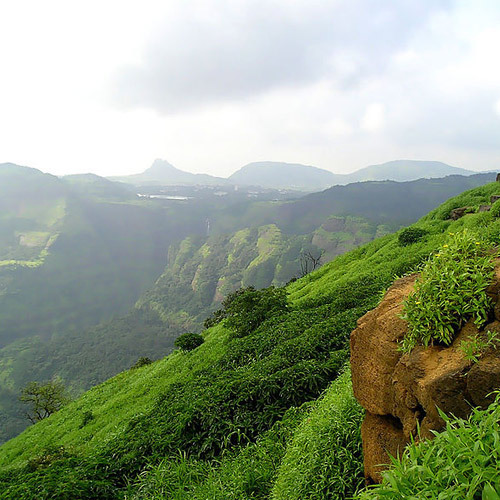 Here is another option to go camping near Lonavala, about two hours away from Mumbai. Nestled deep in the hills alongside a lake, this location for camping near Lonavala gives you plenty to explore. There are cosy corners, charming gazebos, a plant nursery and well-manicured gardens for you to spend some quiet time at. In addition, you’ll be able to go kayaking, river crossing, or swimming, or try the Burma Bridge, Tarzan Swing, and other activities at the campsite. If you book an operator to arrange a camping trip for you, you don’t really need to carry any equipment. You should carry extra blankets if the weather is cold, and make sure you have insect repellent, sunscreen, toilet paper, hand sanitizer, and your personal medicines. Winter is usually the best time for camping in Maharashtra. The weather is cool during the day, and the nights get wonderfully chilly. It’s a good idea to carry extra warm clothes and blankets during this season. However, during the summer and spring months, it can be very pleasant to camp near a lake or the ocean, especially as you only check in in the evening. 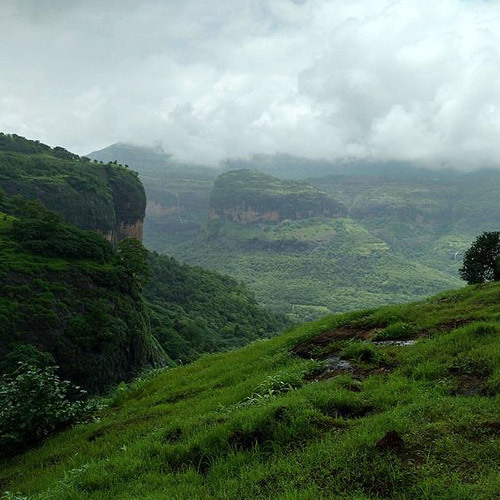 Monsoon camping near Lonavala is growing in popularity now, with people heading out to enjoy the rainy weather and the cloudy skies. Spend the weekend at a lakeside campsite, enjoying the cool breeze and starry skies. You'll spend the day enjoying the sparkling lake, and as the sky grows darker, you'll gather around a crackling bonfire and eat crispy BBQ snacks. Sleep in cosy alpine tents which will open to scenic views of the lake and the surrounding hills in the morning. You can take a swim in the cool waters of the lake and after this, you'll enjoy a delicious homecooked breakfast. Personal expenses such as extra meals, soft drinks, telephone calls, tips, etc. Spend a night out at a lakeside campsite, enjoying the night air and the stars above. You'll enjoy a day of outdoorsy fun, swimming in the lake, walking through green landscape, and end with a bonfire and a hot dinner. Your campsite lies in the midst of nature, just 10 kms away from Lonavala, but far enough to give you peace and quiet. It's right alongside Shirota Lake, so you'll have gorgeous views at any time of the day. You'll camp in weather-proof tents with foam mats, blankets and pillows, to ensure you get a good night's sleep, with comfort facilities like dry toilet tents with Western commodes. You can go for a night trek nearby, explore a few of the viewpoints, relax by the fire with friends, and enjoy a couple of days outdoors. IMPORTANT: You cannot drive up to this campsite, whether you have an SUV or a sedan. You can either trek the 10 kms stretch through a jungle to the campsite, if your group is up to it. If not, you can rent a Tata Sumo at an additional charge of INR 900 per Sumo (one way cost) that will seat 7 people. NOTE: From Monday-Friday, you need a minimum of 6 pax to book this trip. Weekend departures are open to any size group or even 1 individual. Get away from the city and return to nature at this riverside campsite between Mumbai and Pune. 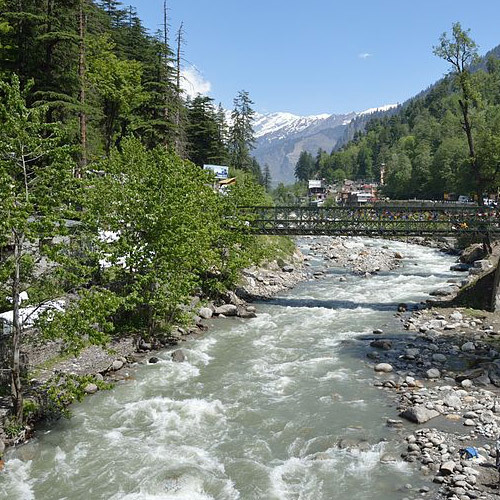 You'll camp in tents beside the Kundalika river, and slow down the pace with some peaceful farming and fishing activities. In the evening, you'll gather around a bonfire and toast marshmallows and make Maggi and soup. Next morning, you can choose to head out to try whitewater rafting, kayaking, river crossing, or Flying Fox (all activities are chargeable and can be paid on the spot), or go for a two-hour trek nearby. NOTE: There are twin and multi sharing tents at the same cost, but twin-sharing tents will only be allocated to early bookings. IMPORTANT: Children under 16 years are only allowed in groups over 10 pax. Personal expenses such as soft drinks, snacks, alcohol, telephone calls, tips, etc. This camping trip in Vasundri takes you to a private campsite with TWO(!) lakes. 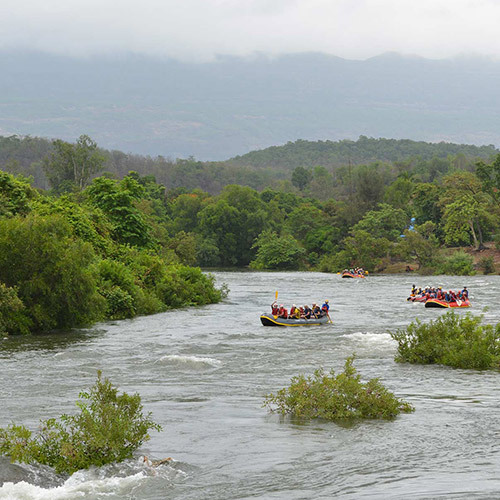 The campsite is located in the midst of greenery, and is only 90 minutes away from Mumbai. You'll spend the day swimming in the lake, playing a lazy board game, or grab a quick nap. As evening falls, you'll drink hot chocolate and watch the bonfires being lit. At night, there's a movie screening, unlimited BBQ, and a fun dinner of Maggi and soup (you can help cook it, if you like!). When all the fun is over, you'll retire to your tent for the night. NOTE: There are twin/triple sharing tents, all at the same price. 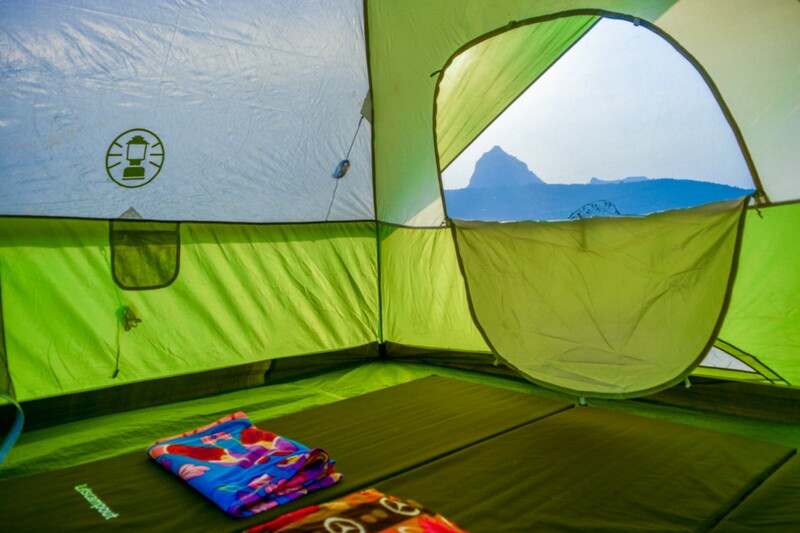 Twin-sharing tents will be allocated to early bookers. IMPORTANT: Children under 18 years are not allowed on this trip in Vasundri. Personal expenses like extra meals, packaged water, alcohol, soft drinks, telephone calls, taxes, etc.